As the colder months begin to loom on the horizon, homeowners across the UK will be looking to bring a cosy and homely feel to their property to fend off the winter winds and dark nights. With this in mind, the Classic Collection of composite doors from Endurance features a selection of definitive designs that Installers can offer their customers. 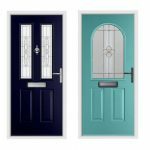 As a range that has been inspired by the Georgian and Victorian eras, these doors specialise in bringing the best in heritage form and modern function. They will serve as the perfect complement to a traditional home, or as a classic flair to a new build, which will enable Installers to accommodate property style and customer tastes sooner and easier. The Collection comprises 20 unique doors, available in a spectrum of beautiful colours, which have been refined over the years based on customer feedback. This means that they operate as a design that is not only for homeowners, it’s been moulded by them. Helping customers to bring the warmth of traditional values to their home has never been easier. To ensure the Classic Collection offers far more than just period appeal, these doors are manufactured using the latest innovations and technologies. This includes Endurance’s unique solid timber core, which is up to 10% thicker (48mm) than other doors on the current market and a range of high-quality door furniture options to help bring a bespoke touch to the installation. Alongside this, these doors achieve Secured by Design accreditation to secure customer peace of mind and achieve impressive thermal efficiency to capture a comfortable home. As part of our Preferred Installers product range, the Classic Collection stands as a fantastic asset for offering homeowners a standard of quality and design that they can’t find anywhere else. To find out more about Endurance’s Classic Collection, and more, call 01652 659 259 and ask to speak with the Marketing Team.